Registration is now open. Click on the 5K tab to sign up. Proceeds of the 2016 New Hope WT 5K will go to The 30-Days Foundation (http://www.the30-daysfoundation.orq/), a great MN non-profit. 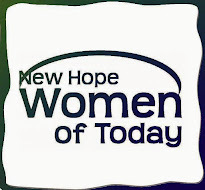 Our goal at New Hope Women of Today is to not only provide needed funds to our benefiting organizations, but also provide an opportunity for the community to get outside and enjoy the wonderful outdoors, create new healthy lifestyle habits, and have fun. Children under 12 are FREE, and we will have fun kid activities going on during the race!